No loading a shell into a tube here! This is a PRE-LOADED MORTAR, each sold separately. Perfect for anyone who doesn't want to load up a tube, just place on hard surface, light and get back! 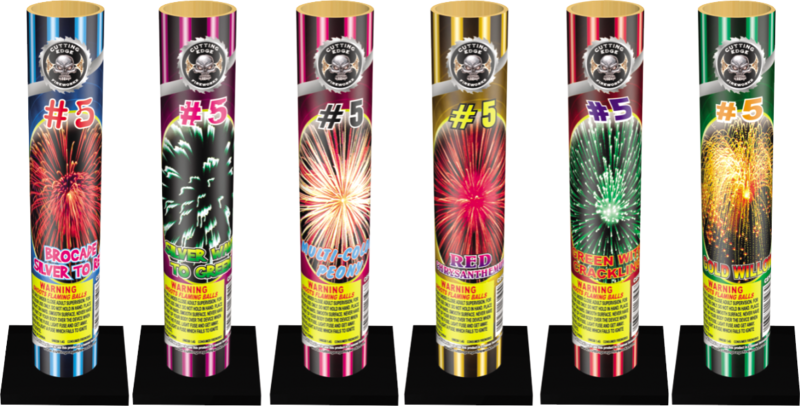 Pick any of the 6 assorted effect tubes, effect range from large color peoney breaks to colored brocade crowns with changing colors. Picture on outside of tube shows the effect! LARGE, LOUD arial effect at about 150' in the sky!!! AWESOME EFFECTS and EASY set up!! !